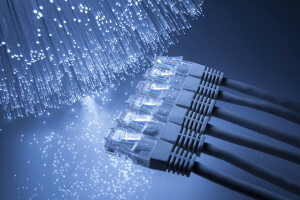 Ethernet is a system for connecting a number of computer systems to form a local area network, with protocols to control the passing of information and to avoid simultaneous transmission by two or more systems. Ethernet is a physical and data link layer technology for local and metropolitan area networks. Original Ethernet specifications served as the basis for the IEEE 802.3 standard which specifies the physical and lower software layers. This technology access method is able to handle simultaneous demands. A newer version of Ethernet called 100Base-T (Fast E) supports data transfers of 100Mbps.The latest version Gigabit Ethernet supports data rates of 1 gigabit per second.